Check out the new Hampton Art stencil packs now available. This set has a beach theme and this stencil has added pineapples just for fun. To create this plank all you need is the plank, a metallic marker and the stencil set. This sample used a silver metallic marker and the result is a nice effect. 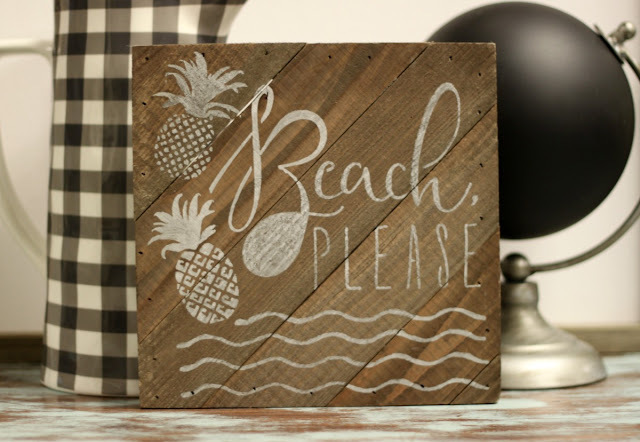 Such a quick way to create a home décor piece, perfect for a beach cottage too.